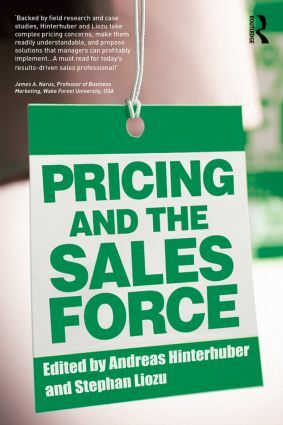 Pricing and the Sales Force is the first book to link pricing strategy and the sales force together. Pricing strategy is now well established as an important means of driving profits for many organizations. Countless companies are now mastering price-setting. But what about "price-getting" – converting those list prices into the realized sales, and as a result, greater profitability? This is the domain of the sales force.